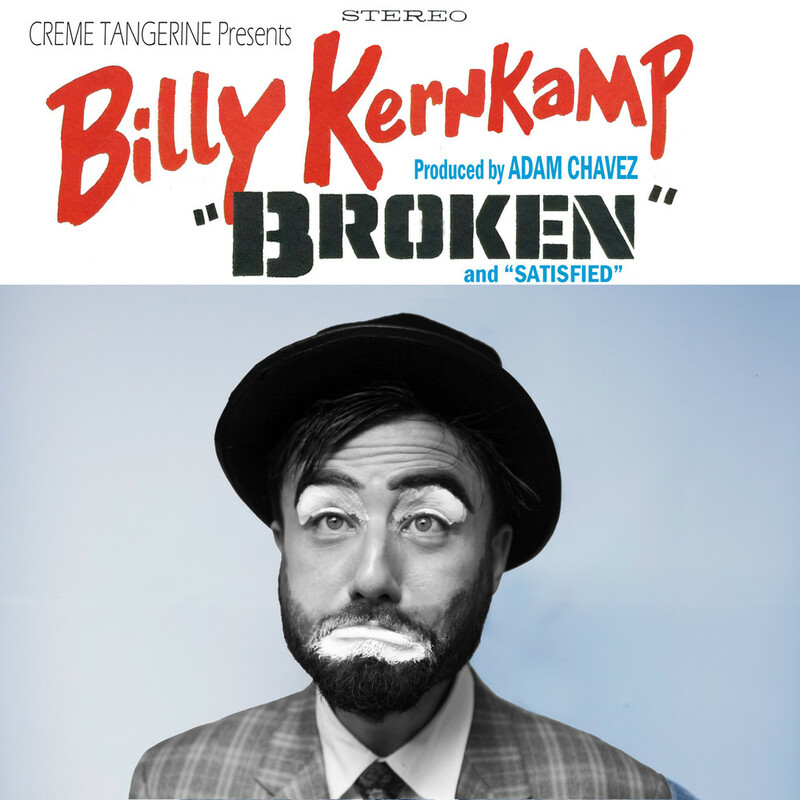 My first collaboration with Billy was for Creme Tangerine Records. We had played shows together for over the years, and through that fostered a deep friendship and working dynamic. Billy has been playing music for many years, spending time in the Rockabilly, Folk, and Americana spaces. We used this record as an opportunity to push further into unknown territory. This included bringing in an eclectic group of talented musicians to perform on it: Brian Klemm of Suburban Legends, Dan Perez and Dave Berg from The New Limb, Ryan Radcliff from Honeypie and the Brides, Braden Nelson of The Fabric Sun. Through our sessions, we searched for what was right for the songs. Wading through the options, we ended up in a unique place, illuminating influences that ranged from Morrissey to Buddy Holly.